Server didn’t specify any error so I tried to dig into it. When you do the installation of application, most of the time, this application installation unpacks its sources into temporary location. So I have looked into %temp% directory while error windows was displayed and I found one directory with actual date. So I have looked into it and I found couple files. 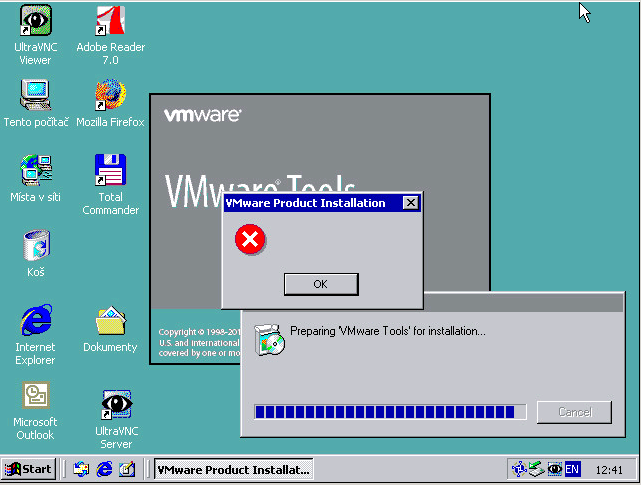 One of them was called VMware Tools.msi. I tried to run VMware Tools.msi and it worked out.